You might be ignoring one of the best tools out there for finding new clients. Now before you yawn and say it’s some boring place to post your resume, hold up. LinkedIn is actually the 4th most popular social media site out there, behind Facebook, Instagram, and Pinterest. It’s also chock full of business people, which is why it’s important for our needs. These are people who work at companies and those companies hire freelancers and remote workers. I often think LinkedIn is one of those forgotten sites for most freelancers because they associate LinkedIn with the 9-5 world. But, honestly, that would be a mistake. The more I’ve gotten into LinkedIn the more I like it. If you’re into finding more quality leads and especially if you’re in the B2B (business to business) world, there is no excuse for you not to be on the site right now. Just in the last six months alone, I’ve secured two quality writing jobs off LinkedIn and have connected with a number of other people. So, now’s the time to start exploring it. 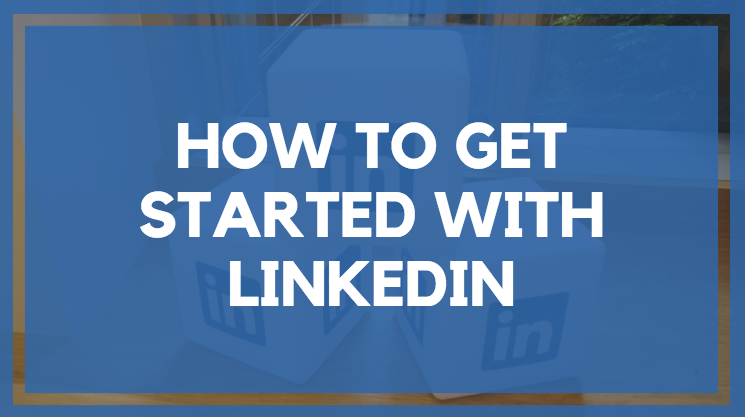 In this post, I’m going to give an overview of LinkedIn and how to get started on the site. LinkedIn was started in 2003 and now has 500 million users and 10 million active job postings on the site. It has all the main functions of every other social media site you know and love. 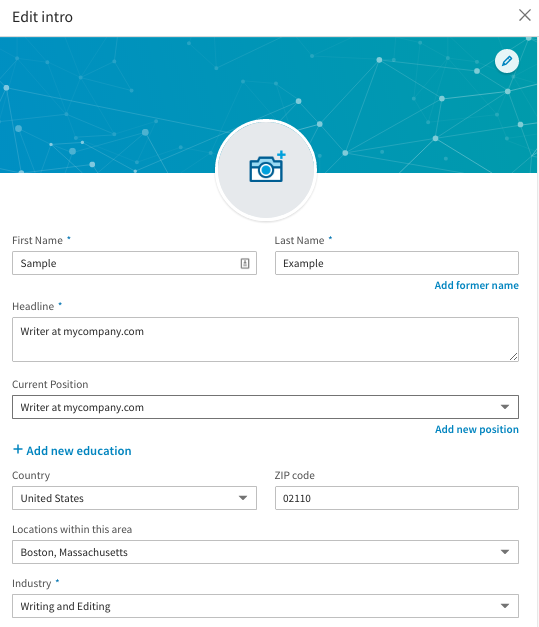 You can create your own profile, connect (and network) with others, send messages, chat with other online users, join groups, and post content. So if you’re already familiar with a site like Facebook, you’re good to go. Where LinkedIn can stand out is helping you build your personal brand, which is key for freelancers. Everyone on the site is there because they want to build relationships with other people in the business arena. LinkedIn allows you to form a network of people in your niche or industry and this network is an absolute killer source of finding jobs and clients. So you don’t want to miss out on this. But in order to really take advantage of everything the site has to offer, you need to get yourself set up. First things first head over to LinkedIn to sign up. Next, you’ll be asked to verify your location. In an ideal world, you’ll be making connections everywhere, but I’ve actually found that starting local can be a big boost. Then you’ll be asked for your job title and company. Remember, this is a business orientated site. If you’re freaking out that you don’t have a company, all you have put here is your website URL. Finally, they’ll ask you what you want to use LinkedIn for. Don’t worry so much about this part, there are no wrong answers! For most people, it will be building a network or finding a job. Once you do this, you’ll be asked to confirm your email. Then you’ll be offered the option to do things like download the app, connect with people in your email, and add an image. You can do all these at once, or skip for now and do them later on. I’d suggest you can skip for the time being. Your profile is the most important part of LinkedIn, you have to nail this in order to really see some traction on this site. So you do not want to skimp out on this. (Imagine I put those clapping hands emojis between each of the words in that sentence). In this section, I’m going to dig into how to build a LinkedIn profile that people (including prospective clients) will want to click. Do not leave it looking like this any longer than you have to. So let’s look at the basics first. There basically nine major areas that comprise your profile. You want to optimize each of these to get the best results. And when I say optimize, yup, I’m even talking about optimizing for keywords. LinkedIn uses an algorithm just like your favorite search engine to find people. 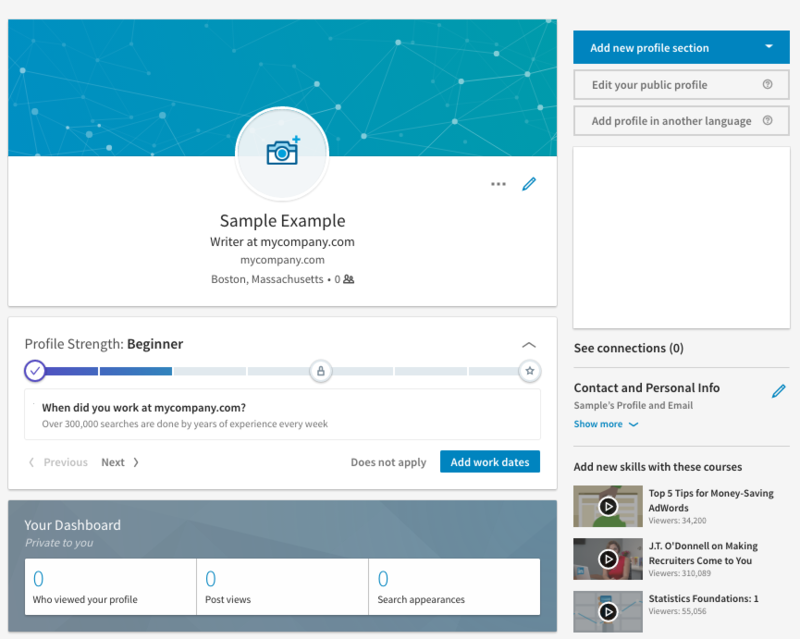 So, you want to know exactly what keywords the people you want to work with and connect with are going to be searching and use those all over your profile. Now, let’s take a look at each of these on their own. Start with your photo. Click on the image of the camera right in the middle of your profile and you’ll be asked to upload a photo. Use a professional headshot, if possible. If you don’t have this then a nice clear photo of you smiling is a good option. Don’t include anything where you’re at the beach shirtless or holding a beer, or anything like that, keep it to a photo you’d be happy to show your mom. You can also include a header photo as well if you’d like. To edit that, click the little pencil icon. A new box will pop up where you can edit all of your main profile information. Pay attention to this box because I’m going to refer to it throughout the rest of this post. This should be self-explanatory, but you never know, so I’m including it here. Use your actual name, don’t be a weirdo and stuff some random keywords in here. If you’re still in your current 9-5 and worried that people might find you then you might consider using your initials or middle name as your first name just to give yourself a bit more privacy. This is the first thing everyone sees so you have to nail this, make it engaging and interesting, something that grabs attention right away, also include the keywords you want to target. As you can guess, “Writer at mycompany.com” is a terrible headline. Be creative here. You can even include your phone and email in your headline if you want people to be able to contact you straight away. Also, test! If something isn’t getting you any bites, change it up. This is a great post on how to improve your LinkedIn headlines. Again, self-explanatory. 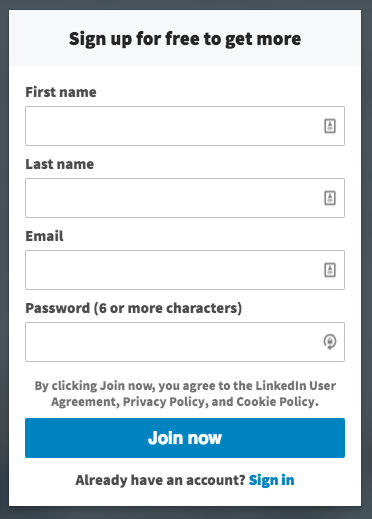 When you filled out this information as you were creating your LinkedIn account it became the drop down option, so it’s pretty much set. 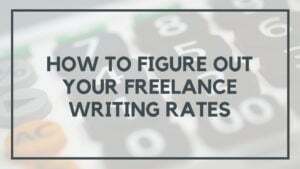 You can include not only gigs you’ve been doing as a freelancer but your background employment as well. There’s no doubt your past job roles have some skills you’ve picked up that are useful. 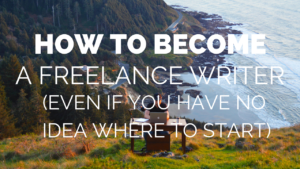 For example, my 9-5 work experience is in finance, so even though I’ve been freelancing for a few years now, I include that experience because I do a lot of financial writing. So my prior employment history actually helps showcase my expertise in the areas I’m writing about. You really want to be as detailed as you can be here (and don’t forget to include a few of those keywords you want to target). Another cool feature of LinkedIn is that they allow you to include uploads and links in your experience section. If you do, website design, for example, this is awesome because you can highlight some of your portfolios here to grab attention right away. Whatever educational degrees you have, enter them here. Mostly, this is great for connecting with others from your past schools. Remember, any little thing can help when you’re trying to connect with lots of people. Fellow alumni are likely going to be more willing to click that ‘accept’ button on your requests. This is the heart of your profile. You have 2000 characters to tell people who you are, what you do, and why they should hire you above others. Don’t be afraid to really show off here. You can add media to this section too, so that includes links and screenshots. The key thing you want to think about here when it comes to your summary is that you’re using it to attract your ideal customers. So you don’t want to actually make it all about your life story. Instead, you want to create a summary that very clearly highlights how you can help a brand get results. Be bold, use specific results if you can, upload social media shares for your articles, or keyword results, how you were able to increase opt-ins, etc. Anything you can do to prove you can help them make more sales is going to go a long way. You can really think of this as sort of your website homepage 2.0. Use the same sort of language here as you did there. 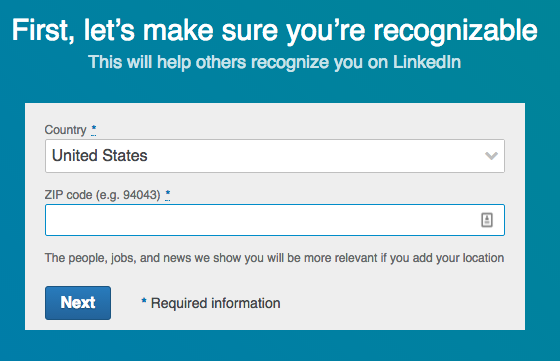 Here, we can actually look to LinkedIn to help us out with some examples. This post on their business blog shows some profiles that they love. The above sections are what LinkedIn wants you to fill out. But we’re overachievers, right? We like to go above and beyond, so now it’s time to add a few key sections that will help get you found. Highlight any specific skills in this section. Keep these skills tight. You want them to target what you are really good at in your business. 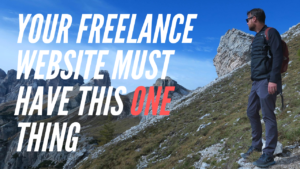 So start with the skills you know you have that clients are going to want. 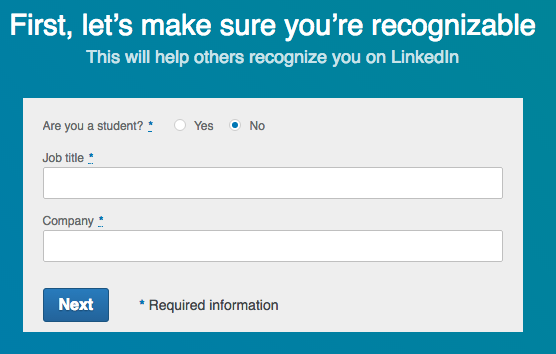 There is an entire drop-down of accomplishments that you’ll want to consider adding to your profile too. The main ones to note here are publications, certifications, and projects. If you have industry-specific honors and awards as well as coursework, be sure to add those too. Any additional information you can add in these sections can help add credibility to your profile and abilities. Once you’ve got those set, congrats! You’ve got your profile set up, huzzah! Nope, sorry. There are a couple of things you can do to really make your profile shine and continue to build your personal brand. I want to cover those in this section. The best way to grow your presence on LinkedIn is to build your network. This helps to expand people you’re connected with. It helps to build credibility, lets more people see your stuff, and exposes you to more potential clients. So get networking right away. LinkedIn has its own blog network, called LinkedIn Pulse, which is great for you because you can re-post your own content on the site. Again this helps to build your expertise. There are a couple of ways you can build a following with the blog. First, post new content. Second, share your previously written content. Here’s a pro-tip with this, don’t share the entire post, share the first 300-500 words and then add a read the rest here with a link to your site. Did you know you can make your link your name instead of a bunch of random letters and numbers? This makes your profile really easy to share with others and just gives it a bit more of a professional look. Follow the steps here to get started. Your LinkedIn profile isn’t something you want to just set and forget. You need to be updating it all the time. That includes adding any new clients you’ve worked with, new certifications, new portfolio content, etc. Set aside a schedule on a quarterly basis to go back through your profile and update accordingly. Groups here are basically the same as you’d find on Facebook. Find and join groups in the areas that you want to be known for and participate. These groups are a great way to connect with others to expand your network. If you want to be fancy, you can also make your own group and really highlight your own expertise. Remember, as you get more advanced on LinkedIn you’ll find you can use it for a lot more than simply networking. 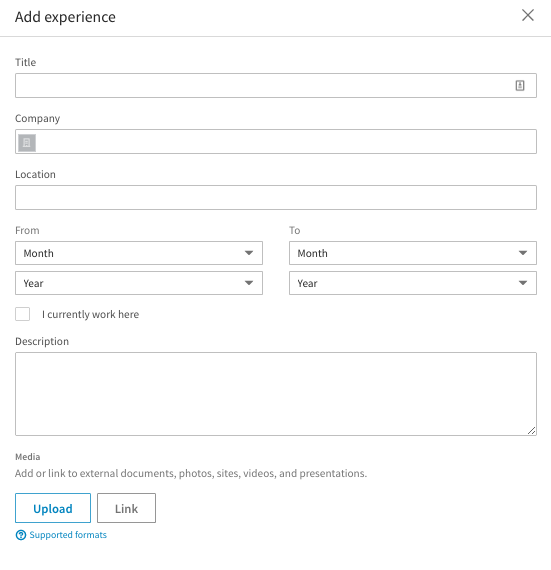 You can create content to highlight your expertise with LinkedIn publishing. You can also really level up and create LinkedIn ads that will help promote your business to potential B2B clients using the platform. This post should help you get started with the basics of getting your LinkedIn profile up and running. Now, it’s up to you. Set aside time to develop a plan, know the keywords and customers you want to target and build your profile. 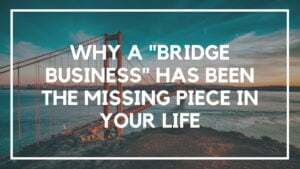 Once that’s set with a little time and effort you should be able to start building all sorts of new leads and connections that can help you grow your business. Thanks for the great tutorial on Linkin! No problem, KG, hope you can use it to your advantage with LinkedIn! Personally speaking, I think LinkedIn is a great place to both collect ideas for new content and repurpose your old pieces – definitely worth a try! For sure. 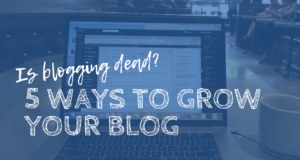 I’ve been getting way more into the blogging side of things on LinkedIn Pulse and it has huge potential. LinkedIn isn’t just about building a network anymore.